My apartment with newly hung art. Bonus points if you can tell me what time I took the photo. Finally got around to doing something with the art prints that I had. Framing the prints make them look so much nicer and they serve as nice decoration for the apartment. 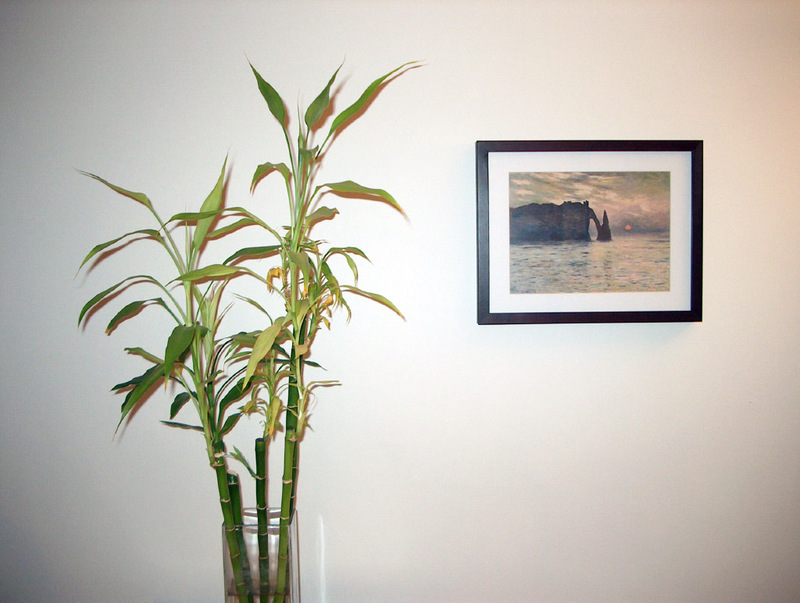 The Monet print was a piece of cake as by luck, the included matte for the print fit perfectly into the 11x14 frame. The David print was a bit tougher though as it didn't come with a matte and the included one in the frame didn't fit. 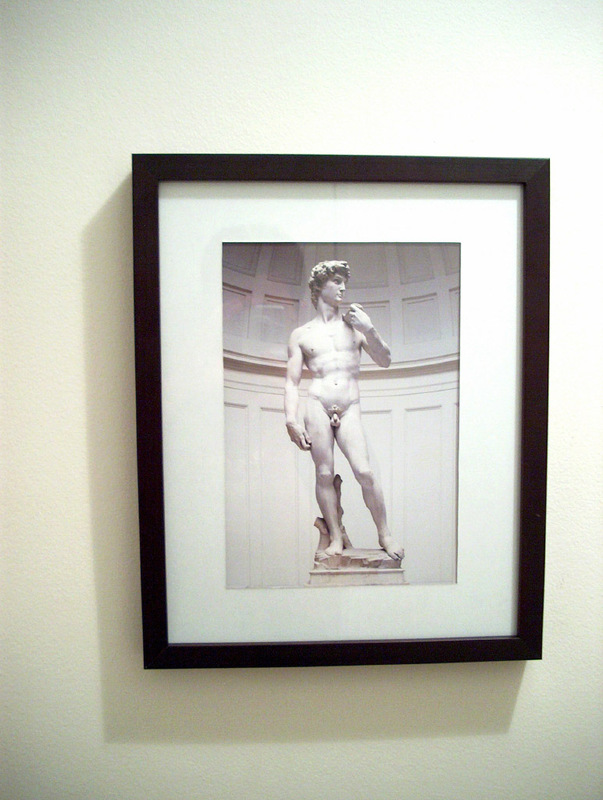 I took the cardboard backing from the Monet print (since it fit the frame and was white and had decent thickness) and cut out a matte for the David print using my swiss army knife for lack of a better tool. It looks decent and I was quite pleased given what I had to work with. It would have been nicer had I been at home and had access to my sister's craft stuff b/c she has a paper cutting thing where I could properly cut a bevelled matte. 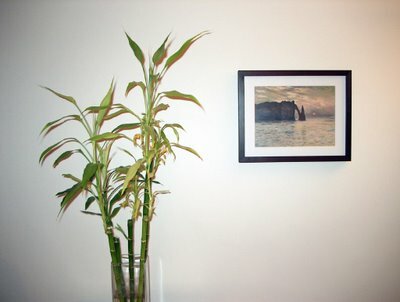 I want to get a few more art prints now, probably another Monet and then non-impressionist ones to mix it up. I prefer paintings, though I might consider a photographed landscape for diversity. 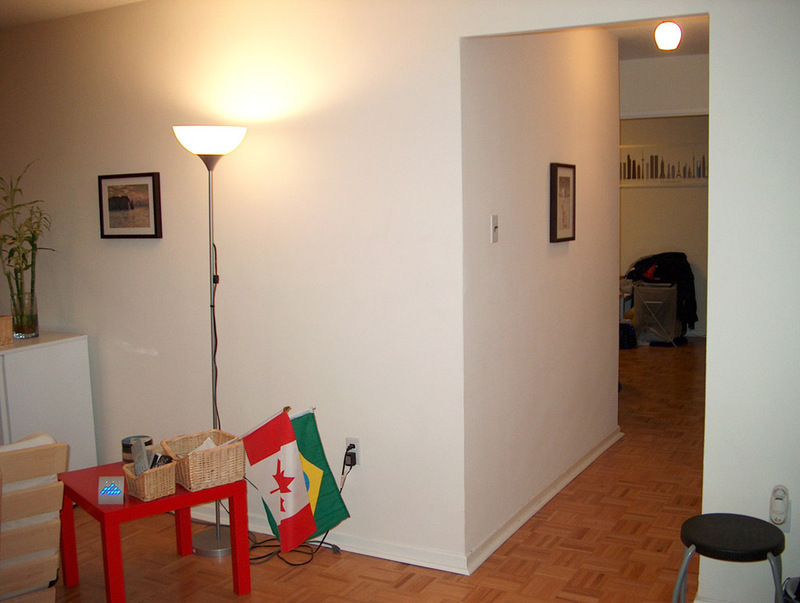 I'll probably stick to small prints, as large replica prints of paintings just look fake, though when I move into a more permanent place, I'd like to get some large canvas art for decoration. How about I let you keep the top Google position when searching for your name and we call it even. 12:34 AM, or so says the EXIF data. I'm too lazy to add. You can see his weiner. hahaha binary...digital... it's all the same.